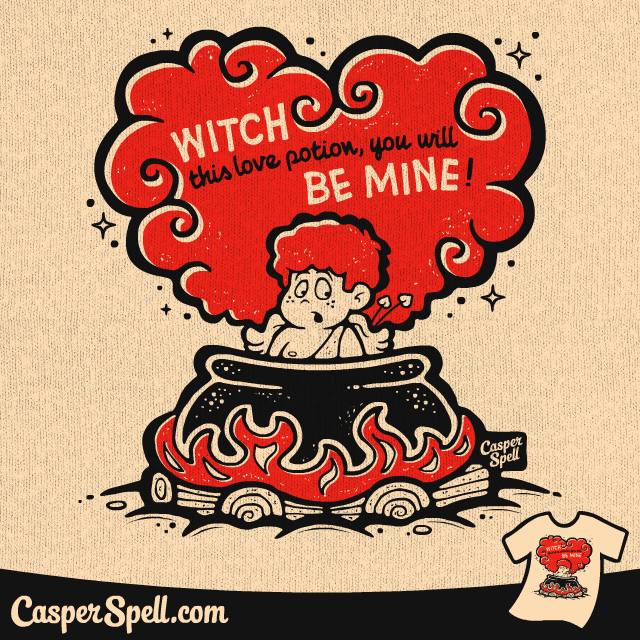 “Witch this love potion, you will be mine!” by Casper Spell. Visit www.CasperSpell.com. This entry was posted in Characters, Greeting Cards, Halloween, Hand Lettering, Illustrations, Licensing, Posters, Surface Patterns, Tee Shirts.